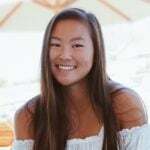 An update to Stanford’s Admission Officer Directory last week removed Assistant Director of Admissions Karen Alonzo ’11 from its contact list, two days after campus publication The Fountain Hopper exposed details of her personal, formerly public Instagram account and its connection to the official Stanford Admission account. 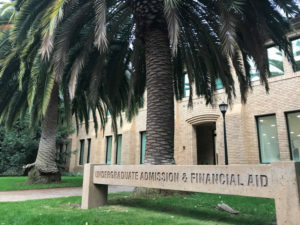 Admissions officer Karen Alonzo ’11 was removed from a staff directory after her personal Instagram posts were linked to the official Undergraduate Admissions account (COURTNEY DOUGLAS/The Stanford Daily). According to Alonzo’s LinkedIn profile, she managed the official social media accounts for Stanford Admissions, including the “engagestanford” Instagram profile. She used Stanford Admissions’ official account to like posts on her personal Instagram, including the posts that The FoHo criticized as inappropriate. In addition to her role as Assistant Director, Alonzo was the admission officer for Pennsylvania and parts of Florida. The Daily reached out to Dean of Undergraduate Admissions Richard Shaw for comment and received a response from Lisa Lapin, associate vice president for University Communications. The Daily also reached out to Alonzo for comment but received no response.